Happy New Year from the CXO! To all our existing users, business partners and friends we have not yet met: Happy New Year from everyone at Dyalog – we hope that we can be of service to you in the year(s) to come! But what – or who – is a CXO? Well, according to Wikipedia, a chief experience officer (CXO) is the officer responsible for the overall user experience (UX) of an organization. The chief experience officer ensures the organization has good customer service, so customers are able to have a positive experience. Since I joined the company nearly eleven years ago, the responsibility for customer experience has been an important part of my job as CTO. During this period we have grown very significantly – the five people who were responsible for Dyalog APL before the acquisition in 2005 have now become more than twenty, and we have plans to hire a couple more this year. We have reached a point where we have the manpower not only to keep existing clients happy by continuing to accelerate what has become one of the largest sustained investments in APL in the history of the language, but also to be more aggressive in going after completely new business – and attracting new generations of APL users. As a natural consequence of this growth, we have decided that it is time to split the CTO role into two parts, with the addition of a CXO role. The CXO will focus on understanding the customer experience and what we need to do as a company to improve it, and the CTO will be responsible for implementing enhancements to the technology that we offer our users (and make sure that Dyalog itself masters the technologies that it needs to use to implement solutions today and in the decades to come). 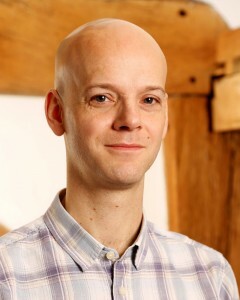 With immediate effect, Jay Foad will assume the title of Chief Technology Officer and be responsible for the core development team at Dyalog Ltd. Jay has been with Dyalog for just over five years now, and has impressed everyone with his ability to rapidly understand almost everything that goes on under the hood. Most importantly, he combines a keen interest in the lowest levels of hardware and software, with the ability to argdiscuss the finest points of APL language theory with the likes of John Scholes and Roger Hui. I will take the role of Chief Experience Officer and be responsible for the rest of what was the CTO role. In many ways, I will be going back to what I have been doing most of my life – working with large and small APL users to put APL technology to good use. My primary responsibility will be to make sure that Dyalog understands the needs of current and potential users and to work closely with the CTO and his team to satisfy these requirements. This is not just a question of eliminating defects and making sure that the help desk provides a good experience when users need help with our software (although that IS important). More importantly, the software needs to have the features that current and future users actually need in order to be competitive when using APL as a development tool. The features need to perform well, have decent quality and they need to be designed in such a way that each feature is not only easy to discover and use but it should ideally also be easy NOT to use, if you have no need for it. continuously increase performance – this includes taking advantage of parallel hardware. port Dyalog APL to new platforms. provide cross-platform development tools that make it straightforward to develop applications on any of the platforms we support and deploy and maintain them on any other. We need more APL developers in order to create tools, tutorials, documentation and other training materials. This is necessary to make existing users more productive and to make Dyalog an attractive tool for a new generation of users. We would like to increase our capacity to engage with our existing users in order to better understand requirements and help you take advantage of new tools and language features. We would like to work with new users, helping them get started with that first application implemented in Dyalog APL. We want to participate in the creation of the next generation of APL “Top Guns” so that we can eventually extend our application audit, tuning and migration services. You may be able to help us: we will be looking to place APL and core technology developers within user organisations as part of their training. If you think you could host a Dyalog developer for a few days or a week to show them what life looks like on the front lines, or you have a small APL development project that might be suitable for a young APL developer to use as a learning experience, please contact me. In addition to having the right features and tools, we need to be sure that people know about them. Over the past decades, our ability to develop new features has often exceeded our ability to produce training materials and samples for them. A significant part of the CXO role will be to work with our CEO, Gitte Christensen, to significantly increase our efforts to tell the world outside the existing APL community about the well-kept secret that is Dyalog APL. An important goal will be to produce completely new, modern samples and training materials – including videos and regular web casts – to make it easier for both existing and new users to discover and take advantage of Dyalog APL and associated tools. We will also spend significantly more time and effort creating a presence at conferences and online forums outside the array language community. It is going to be a busy New Year!